Welcome to the website of Scoil Íde which is the primary school for the Parish of St. Nicholas and the surrounding areas. It opened in September 1964 with three classrooms and was run by the Mercy Order for the then Parish of St. Mary's. As Limerick developed and Corbally experienced a growth in housing developments the school grew to accommodate the local population. 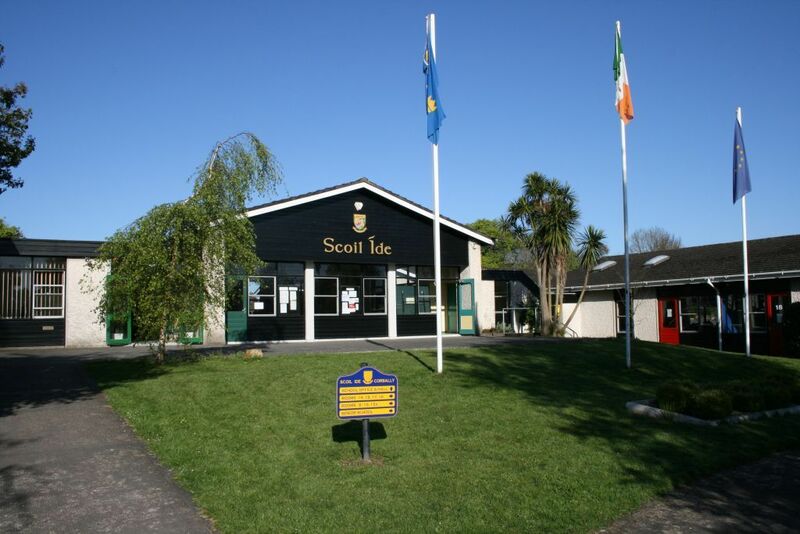 At the present Scoil Íde has a student population of almost eight hundred pupils and 44 full time teaching staff including principal, Grace Burke, deputy principal, Joe O' Sulivan, class teachers, special education teachers and 7 special needs assistants. Scoil Íde plays a central role in the community and our past pupils have gone on to excel in academics, sports and the arts. As the Sixth Classes leave us each June we remind them that no matter which institution claims them in later years, they were ours first! Growth and learning are the summation of all we try to do with the children who are entrusted to our care. We aim to do the very best we can for every child who comes into our school, to maximise their talents and potential, to give them a solid grounding in basic academic work and to open their eyes and minds to the world that awaits them. In recent years we have increased the STEM (Science, Technology, Engineering and Maths) emphasis in our teaching and learning. Through parental support we have invested in a Science Room, Outdoor Classroom and technology kits. Scratch programming is taught from 1st to 6th class. We are committed to improving teaching and learning through the support of the parents and the Board of Management.